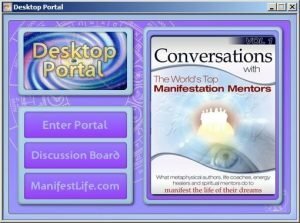 This was originally published in 2008 as one of my content-marketing articles (i.e., “lead magnets”) for The Manifesting Mindset (download the PDF or read it online). 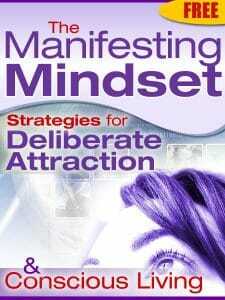 In my book, “The Manifesting Mindset“, I listed and elaborated on 12 key manifesting principles & strategies. Since then, I’ve gotten to know many mentors who privately teach others, practically ‘behind closed doors’, the personal art of deliberate attraction (also known as conscious creation). Remember the childhood book series about Curious George – the original ‘monkey see, monkey do’ chimp who always seemed to be getting into some form of trouble by being overly-curious. And, the man with the yellow hat getting him out of it? You consciously saw George as a spunky, fun-loving, and inquisitive little primate. And, even though the way we learn about the world around us as a child parallels the way George learns some of life’s lessons through his adventures, have you stopped to think what beliefs you NOW have about ‘being too curious’ or what ‘mischief’ may come out of asking too many questions? Uhmmmmmm … well, another detailed topic (maybe for a trained behavioral psychologist) for another time; however, I still bring up the point that you may in fact be SHOCKED to find out that your unconscious beliefs are running your life. And, even more to the point, you might even be stupefied to find out just how, and when, you adopted some of these hidden, below-the-surface beliefs. Anyway, like I said, something that can be discussed later. On page 11 of “The Manifesting Mindset“, I talk about how asking yourself the “right questions” can accelerate your life by helping you HAVE whatever it is you want. However, recently, I came across an old audio tape from inspirational speaker, Jerry Clark. He beautifully sums up the answer to my chapter title. “Questions direct your thoughts and ‘directed thoughts’ are what we call FOCUS. Your focus directs your feelings. Your feelings direct your actions. Your actions direct your results. And your results direct your destiny. If you truly want to start tapping into and utilizing the hidden genie inside you, you absolutely – without question – must start BEING “clear” about what is it you want or what you feel you can do, be, or have for yourself. I know somebody who has been wanting to take his home-business on the road for a long time (i.e., travel around, with his laptop, visiting places and people he knows); yet, he keeps making excuses saying he needs to stay close to his home office. I know somebody who wants the experience of a meaningful, deeply-connected, intimate / romantic relationship; yet, she can’t figure out what drives her to overwork herself as an executive in a highly-competitive, fast-moving industry. In both examples, each person KNOWS their current activity – their mental comfort zone – is what keeps them from HAVING what it is they “say” they want. Want a bonafide, almost-immediate, way to ensure what you want is actually congruent with what you’re DOING? Self-directed Manifesting Question #1): Does what I’m doing (name what that is) feel good to me … and … am I doing it to accomplish something or avoid something? Self-directed Manifesting Question #2): When I have what I imagine – which I will since focused ‘feel good’ thoughts eventually become things – will I experience more everyday joy with my newly manifested desire? Folks, the best personal adventures grow out of a little curiosity. Yes, just a little is all it takes. And, as you now know, when you’re curious enough about yourself – why you do what you do or don’t have what you say you want – empowering questions must come. And, understand this simple FACT: you WILL – you must – receive the answers to any questions you ask because you have trillions and trillions of cells who are listening to you and are waiting to respond to your desires, wants, and dreams! If you really want to start being “clear” about what you’re doing, start asking yourself the right questions – I promise the Curious George within will go to work for you to search, learn, and understand EXACTLY what it is you’re after and what it’ll take for you to get their faster and better than you’ve ever imagined. The above article was originally published in 2008 as one of my content-marketing articles (i.e., “lead magnets”) for The Manifesting Mindset (download the PDF or read it online).